Happy St. Patrick's Day everyone! This day has become synonymous with one beer, and one beer only; Guinness. Here at Beer O'Clock Australia we try and do things differently, so here today is Nigerian Guinness. One of my favourite Guinness facts relates to Nigeria and people are normally shocked when I tell them. Nigeria is actually the second highest consuming market of Guinness in the world; only behind the whole of the U.K.! The recipe of Guinness brewed in Nigeria is different to that of Irish Guinness and I'm really looking forward to trying it. 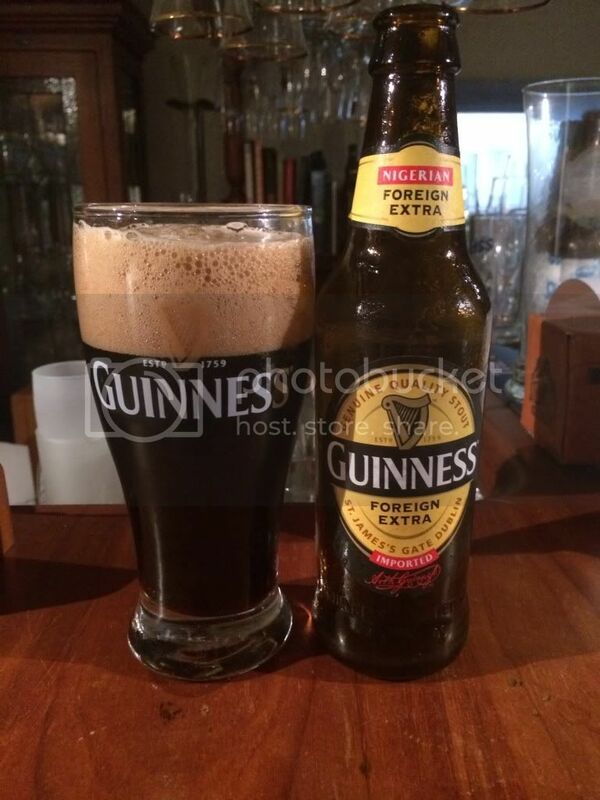 As expected Guinness Foreign Extra (Nigeria) poured a dark brown, almost black, colour with a bulbous tan head. The head appears to be quite thick, but does have some large air bubbles at the top off the head. The retention of the head is nothing short of exceptional, with at least 2 fingers lasting until finishing - with excellent lacing also left behind. It's a good looking beer. The nose was slightly understated for the style initially. As the beer warmed notes of coffee and roast were particularly dominant with dark fruits and licorice in the background. There was the slightest hint of alcohol as well, but not raw alcohol more like Port or something similar. Guinness Foreign Extra really surprised me with how it tasted! Initially it was very fruit, before coffee and roast flavours kicked in. There was also a good smattering of hop bitterness and the tiniest hint of corn - I assume a byproduct of it being brewed in Africa where Barley would be less common. Anyway this is a really really tasty beer, much better than standard Guinness. 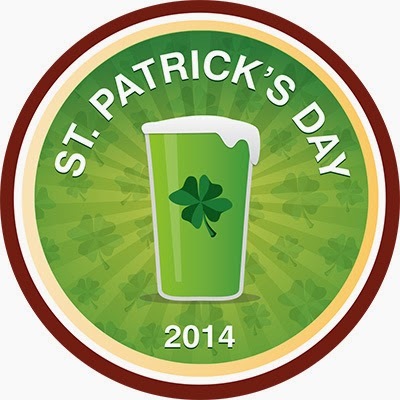 I missed this earlier, but this badge is for checking into any beer on St. Patrick's Day (sort of obviously...) so you better get checking in quick if you haven't already done so. This is a really nice stout and I can understand why the Nigerian's enjoy drinking this so much! At 7.5% I can see this being a bit dangerous in the summer in Nigeria... Still I'm going back to get more and I recommend you do the same.